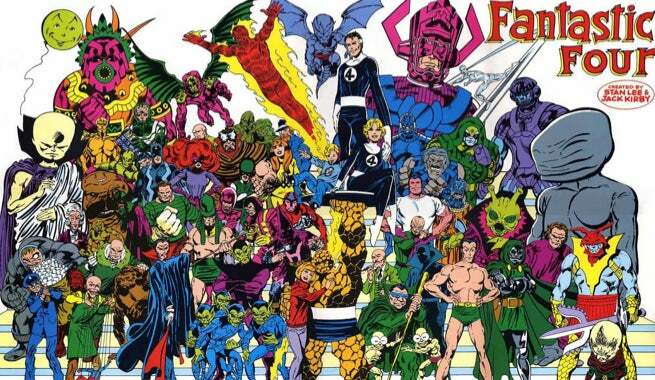 Just How Many Fantastic Four Members Are There? The answer: too many for one article. Over twenty characters can say they’ve been a member of the Fantastic Four and that’s not counting unofficial members or members from alternate universes. Most were substitute members that only filled in for a short period of time, but others have long histories with Reed Richards and his extended family. 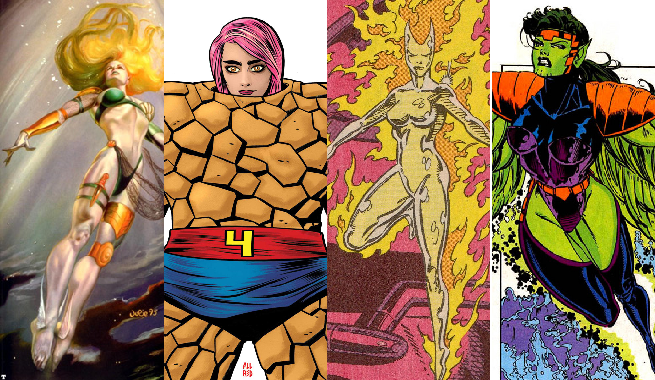 It would take a small novel to talk about every obscure character that’s put on a Fantastic Four outfit, so instead we’re going to talk about some of the major trends and iterations in the Fantastic Four roster. 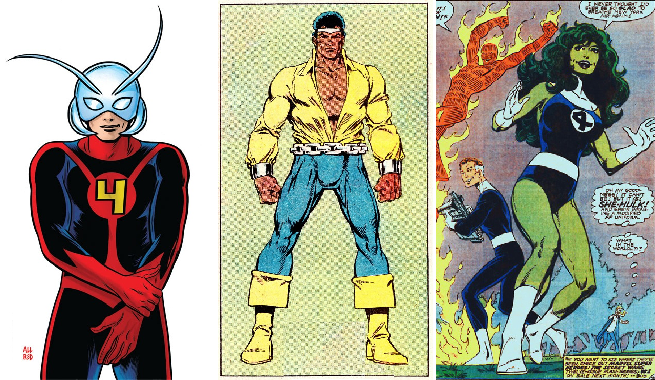 The Inhumans first appeared during Stan Lee and Jack Kirby’s historic run on Fantastic Four and several members of the Royal Family served as substitute members. Crystal, an Inhuman princess, was the first character to join the Fantastic Four outside of its original members. Originally, Crystal served as a replacement for the Invisible Woman, who was pregnant with her first child, and stay with the team even after Susan returned. Crystal’s sister, the Inhuman queen Medusa, first appeared as an amnesiac villain working for the Frightful Four. 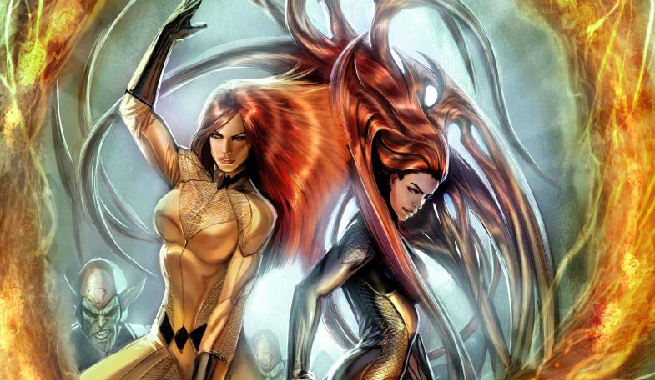 After several tussles with the team, Medusa regained her memory and rejoined the Inhuman Royal Family. Medusa temporarily joined the Fantastic Four twice, once to fill in for the Invisible Woman so she could care for her comatose son, Franklin, and once as part of a substitute roster designed to keep the world safe while the real Fantastic Four were on vacation through space and time. While other boyfriends give out keys to their apartments, Johnny Storm shows his affection by handing out Fantastic Four roster spots to his girlfriends. Besides Crystal, his first major love interest, several other of the Human Torch’s girlfriends and lovers were temporary members of the team. There was Frankie Raye, the stepdaughter of original Human Torch Phineas Horton, who had similar powers to Johnny and eventually became a herald of Galactus. Johnny also dated Namorita, Namor’s cousin, and recruited her as a temporary member to rescue the original Fantastic Four team from the Negative Zone. Finally, there was Darla Deering, a model turned pop star, who Johnny recruited as a substitute while the team was on vacation. 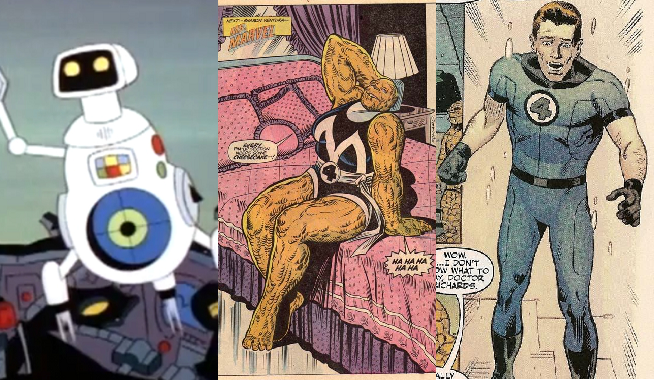 When the Fantastic Four didn’t return as soon as they intended, Deering became a full member by using a robotic Thing suit and dated Ant-Man during Johnny’s absence. While never an “official” member, Johnny Storm’s ex-wife Lyja also assisted the team on many adventures. Lyja was a Skrull posing as the Thing’s longtime girlfriend Alicia Masters, who fell in love with Johnny. After the team discovered her true identity, Lyja stayed with the team while she tried to sort out her relationship with Johnny. Although Lyja left Johnny in the present day, she became a member of the future “Fantastic Five” in the alternate MC2 universe. In 1990, a Skrull telepath named De’Lila captured the Fantastic Four. Posing as Susan Richards, De’Lila recruited a new team of superheroes to avenge the Fantastic Four’s “deaths” by fighting the Mole Man. 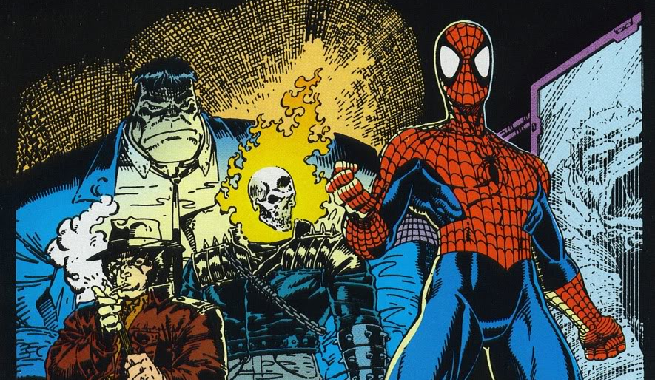 This new Fantastic Four team consisted of Spider-Man, Wolverine, Ghost Rider and the Hulk. While they only fought as “the Fantastic Four” for a short period, the line-up proved popular and many Marvel comics have reassembled this unofficial Fantastic Four team for different missions over the years. Spider-Man, who almost joined the Fantastic Four way back in Amazing Spider-Man #1 and was a longtime ally of the team, eventually joined the Fantastic Four as an officially member as a replacement for his good friend Johnny Storm, who died protecting the Baxter Building from a Negative Zone invasion (don’t worry, he got better). The 2006 mega-event Civil War affected every corner of the Marvel Universe and the Fantastic Four was no exception. While Reed Richards joined the pro-Registration coalition that included Iron Man and Hank Pym, the Invisible Woman and the Human Torch defected to Captain America’s resistance force. Although Reed and Susan’s marriage nearly collapses during the event, Mister Fantastic takes a bullet meant for his wife during the final battle, proving that he still put his family first. 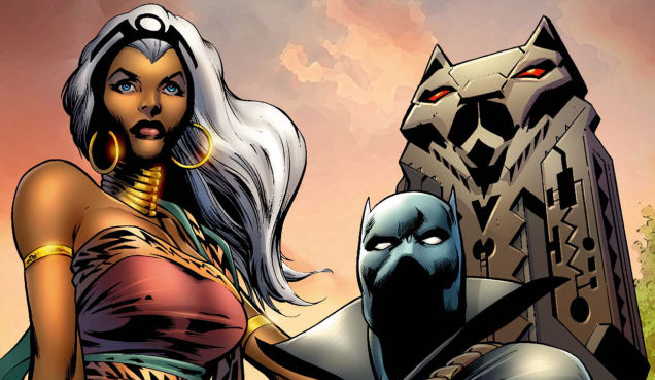 In the aftermath of Civil War, Reed and Sue took a sabbatical from the team, but asked their longtime ally Black Panther and his wife Storm to fill in for them. The two served on the team for about a year before Reed and Susan returned. While not official members of the team, Franklin and Valeria are central characters in the Fantastic Four’s history and adventures. Franklin is a mutant with immense reality warping powers while Valeria possesses intelligence equal to or greater than her father despite being a toddler. 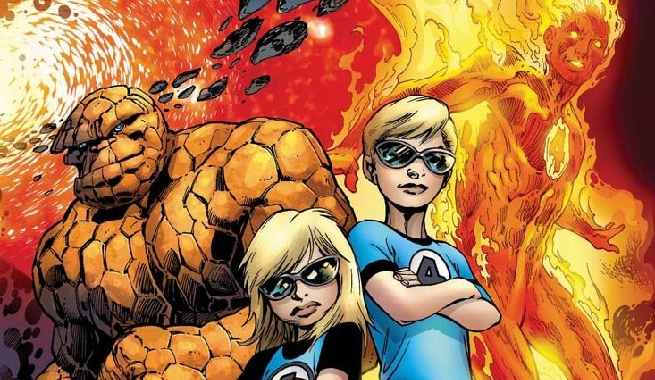 Future versions of both characters have assisted the present day Fantastic Four on occasion and the children even served as “official” members of the Fantastic Four while trapped in the Negative Zone with Johnny and Ben during Secret Invasion. Several state and federal agencies have investigated the Fantastic Four for child endangerment and abuse due to Franklin and Valeria’s frequent adventures with the team, but that wily Reed Richards has always stretched his way out of trouble. Several major Marvel superheroes have spent time on the Fantastic Four at various times during the team’s history. Ant-Man was a longtime ally and frequent substitute member of the team (usually filling in for Reed Richards) and even led the Fantastic Four while the main team was on vacation. She-Hulk also served as a substitute member, replacing the Thing after the original Secret Wars event and rejoining as part of Ant-Man’s team. Mister Fantastic also hired Luke Cage as another replacement for the Thing after Ben briefly lost his powers. In addition to all the other aforementioned heroes, there are a few substitute members that can’t really be placed into a category. HERBIE was a robot originally created to replace the Human Torch in a 1970s cartoon and would later appear in the comics as an assistant to Mr. Fantastic and nanny to Franklin and Valeria. Flux was a hero who gained both superheroes and malignant cancer during an accident and joined the Fantastic Four as an honorary member shortly before dying. Then there’s She-Thing, a former girlfriend of Ben Grimm who gained similar powers to the Thing after an accident involving cosmic rays. There’s also a host of “unofficial” Fantastic Four members, including the Silver Surfer, Doctor Doom, Doom’s protégé Krisoff Vernard, Wyatt Wingfoot and Reed’s father, Nathaniel Richards, but we’re not going to cover those folks since they never joined the team.